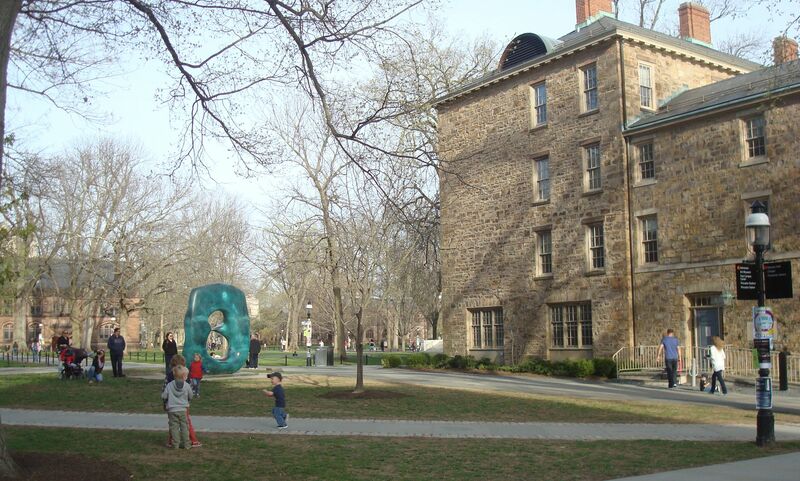 Princeton Can Easily Gather More Money From The University…Here’s How. The thing is, Council can’t demand payment from the University based on what we in the town think is ‘fair’; they can only require payment in accordance with the law. And the law is very clear that non-profit educational institutions like Princeton University are exempt from taxation. That is not to say that there is no way for the town to collect much bigger payments from the University- it’s just not likely to be in the form of a voluntary payment. As things stand, Princeton pays more than three times as much in property taxes as it does through its voluntary payment- a total of $8.35 million in 2013. Princeton could turn this $8.35 million into a much larger sum very easily, by incentivizing the University to develop its land holdings in the town as housing for its many graduate students, staff and post-doctoral researchers. At present, many members of the University community are priced out of the Princeton housing market. Lawrence Township, West Windsor and Plainsboro are reaping the benefits of this, by providing them with apartments- many along congested Route 1. These apartments bring property taxes, but are light on municipal services. The town of Princeton is literally giving money away to neighboring townships that it should be gathering to support municipal finances. The town must encourage the University to invest in Princeton, by allowing it to make productive use of its land. The University does not need to develop its land. With a huge endowment, it can afford to land-bank the many large tracts of property that it owns. This generates zero revenue for the municipality, and works agains downtown vitality. It is in the interests of the town and the University if this land is developed responsibly and productively. The University’s current redevelopment of the Merwick-Stanworth site is one example of how infill redevelopment on University land can produce a good outcome for both town and gown. We should be looking for ways to encourage more redevelopment like this in future, drawing University-affiliated staff into Princeton’s walkable core, supporting local businesses and strengthening town finances. Where do you stand on the University ‘voluntary payment’. How much should the University be paying into municipal finances? Let us know in the comments section below. This entry was posted in Affordability, People, Princeton, Smart Growth, Sustainability, Zoning and tagged eisgruber, planning, Princeton, Princeton University, Zoning. Bookmark the permalink.